The CUHSD Education Foundation is proud to sponsor district-wide programs and events benefiting students and the school community. This year, we will fund two district fairs: the CUHSD College Fair on September 25th, 2018 at Leigh; and the Career Expo on April 16th, 2019 at Branham. 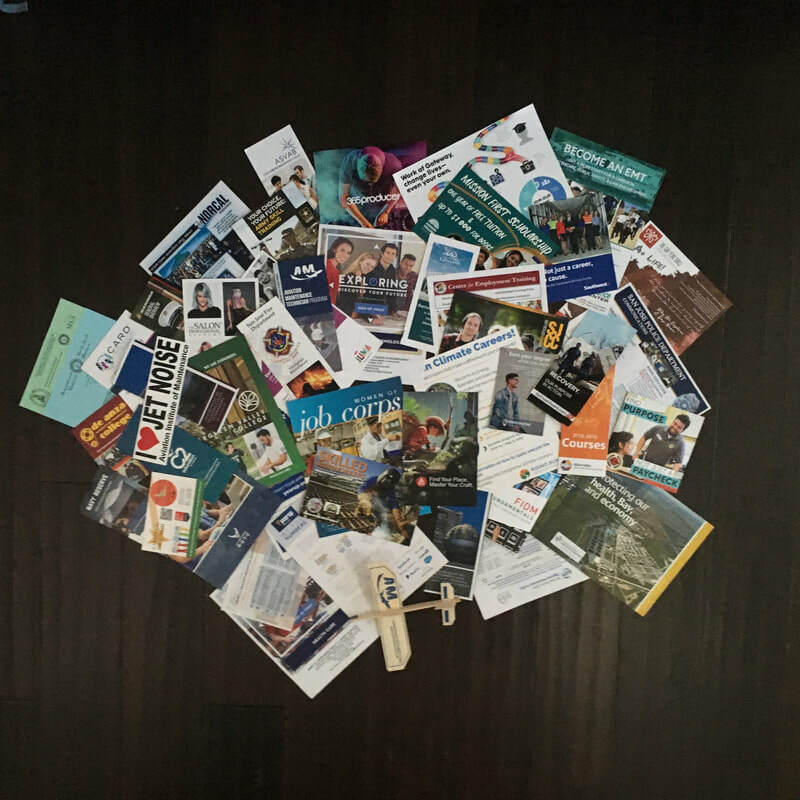 If you are a College or Career Rep and interested in representing your school at our events, please contact us and we'll connect you with the right person! Feel free to review last year's fairs HERE and join our mailing list to stay informed of future programs! April 16th, 2019 at Branham High School! The 2019 District-Wide Career Pathway Expo was held on April 16th and it was a successful event hosting more than 300 participants. This year, the Expo was hosted by Branham and presented by the CUHSD College & Career Centers. Students explored many career technical education options available after high school, including programs at community colleges, military academies, art and design schools, technical institutes, and more. We also had a number of organizations attending that offer internship opportunities to students! Thank you students for being #careerbound! Hosted by Leigh High School and presented by the CUHSD College & Career Centers, the College Fair was a successful event showcasing 77 schools including universities, community colleges, military academies, and art and design institutes, from across the USA, Canada & Europe. Thank you to 1,500 students and parents who attended our Second Annual District College Fair! 1,500 CUHSD students & parents explore 77 colleges and universities! PLANNING TO ATTEND MORE COLLEGE FAIRS? Visit our Resources page to learn "how to" Attend a College or Career Fair. This is the first step to your future success!